Vantage is a powerful piece of business software from Vecsoft that can help you to streamline and grow your company. Specifically Vantage is an EPOS, which stands for 'Electronic Point of Sale'. This is a fancy way of saying 'till system' – though Vantage goes much further than that in terms of what it can do. If you're just starting out then you will need a till system like Vantage, but if you already have an EPOS, you might just find that some of the powerful features we offer make it worth switching. Read on to discover why the right EPOS system is so crucial and what sets Vantage apart as the premier option. What is an EPOS Used For? Your EPOS is basically the interface that you will use in order to process sales which makes it central to your business. At its most basic then you will run this right at your point of sale with your cash tills in order to put orders through as your customers come in. This will then update your stock and turnover and help you to keep track of how much you're selling, your balance and more. A good EPOS till system should be easy to use and allow you and your staff to serve customers quickly and effectively allowing them to get on with their day and you to start dealing with the next person in the queue. It should also be integrated with a good payment system like Payment Sense so that you can take card payments/use card machines (of course Vantage has Payment Sense integration). But because an EPOS system is digital, that also gives it many more functions beyond manning your tills. 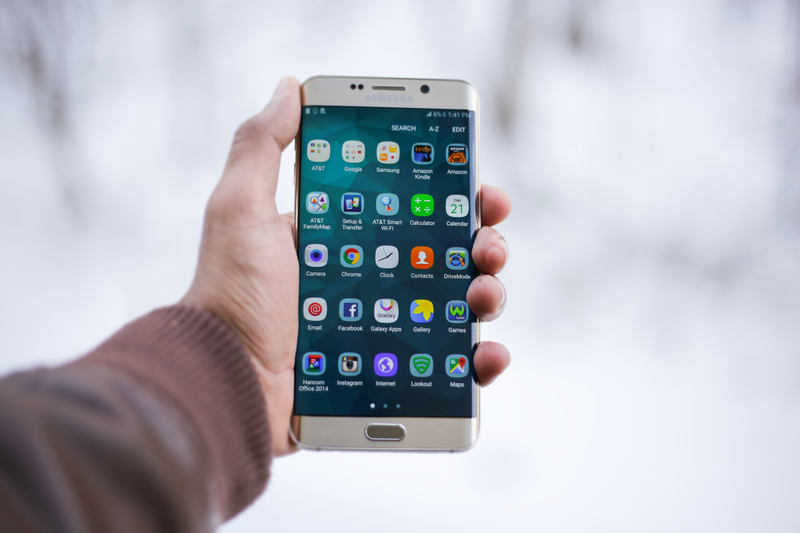 For instance, it should be able to integrate with your website so that your customers can order online – or even on the move through a custom smartphone app. That means more convenience for your customers and more sales for you - and it's all automated! Vantage is live and cloud-based which means orders placed anywhere in the world will be updated throughout the entire system. Other features of an EPOS can include intuitive data visualisation (so that you can see your performance at a glance), delivery tracking, contact management and more. Ultimately, these features give you access to more data while streamlining your ability to make sales from anywhere. The end result is a better workflow, increased profits and new opportunities for you to scale your business model. Why Vantage for Your EPOS System? All these features can make a big difference to your business which is why your till system is such an important investment. Don't compromise – choose a product that can offer you all the features you need and the best ROI. Unbeatable customer support – We offer round-the-clock support to make sure that all our clients are completely satisfied with their system. In many cases, our customer care even extends to developing features specifically for individual clients. This is what really sets us apart. Easy installation - Vecsoft handle the set-up and installation of your hardware and software and will even input your stock for you! All you literally need to do is give us a call to get started and we'll take care of the rest. Tailored service – We are constantly listening to the businesses who use our till systems and adding features in response to their requests. Vantage is a highly flexible system that can be tailored to meet the precise needs of your organisation. We work with a lot of hotels, restaurants and bars but our system is also suitable for retail, logistics and many other scenarios. Intuitive interface – A lot of till systems have a clunky and dated interface but Vantage is modern and simple to use. We have listened to our customers and designed a touch-friendly navigation that's easy to grasp and quick to operate. At any time you will have immediate access to just the information you need to ensure everything flows smoothly. Feature rich – Vantage has all of the features you could possibly want from an EPOS system including: contact management, tight stock integration with the option of automatic ordering, delivery tracking and much more. This is what makes it suitable for a wide range of industries. As mentioned though, if there's another feature you want to see we'll probably be able to add it for you. Just give us a call! Vecsoft is a small business based in Poole/Bournemouth that focusses entirely on top-of-the-range till systems. If you're looking for an EPOS in the Bournemouth area then, we would love to work with you and can help you get set up right away. At the same time though we also offer our EPOS till systems throughout the UK and are more than happy to travel, so wherever you're located you can take full advantage of the many benefits Vantage offers. If you have any questions or would like to arrange a free demo, just give us a call on 01202 835 553. We look forward to hearing from you! Once you have made the decision on the best EPOS solution for your business, the next question is whether you should rent or buy. The right EPOS system will help you to greatly increase turnover, thus growing your profits andhelping you to keep customers happy. To really get the best return on investment though, making the right decision on whether to rent or buy is just as critical. Of course this is a complex question with many factors. There is no single right or wrong answer but rather it will depend on the specifics of your business; including your budget, goals and business model. Let's take a look then at some of the unique pros and cons for renting versus buying to help you come to an informed decision. One of the most common reasons that businesses opt to rent their EPOS systems rather than buy, is that there is no costly up-front investment. This is particularly useful for small businesses that don't yet have a lot of capital and want to reduce the time it takes to break even. Furthermore, this helps your cash flow meaning you have more flexibility in spending and increased resilience when you need it most. If you're pulling yourself up by your boot-strings, renting an EPOS system will help you to get up and running with the minimal initial expense. If you buy your EPOS system then you will be stuck with that system until you can afford to upgrade. This can be problematic if you find you've made the wrong choice, or if you want to change your business model. Renting meanwhile allows you to switch your EPOS system as your business evolves without losing any of your investment. As with renting a property, renting an EPOS system means you don't need to worry about maintenance or repairs. You don't own the system and so it is not your responsibility to repair it when something goes wrong. The net result is that you spend less time and money dealing with issues and more time reaping the benefits of an effective system. Of course you'll have a warranty when you buy but this won't cover everything that could go wrong so you still risk ending up with an expensive paper weight. What's more, renting ensures you have access to customer support at all times. When you rent an EPOS it is in that company's best interest to keep you happy and so they will likely bend over backwards to help you with all of your questions. When you rent you aren't just getting the system itself - customer support is normally included as an important part of the package. As with maintenance, if you rent your EPOS system then you will gain access to free upgrades which might be costly otherwise. This ensures you stay up-to-date with the latest hardware and software and always have the most efficient solution available. For larger companies that can afford to make a one-off payment, buying an EPOS system is ultimately the less expensive option as it only involves a single expense rather than a recurring payment ad-infinitum. For large companies with available finances, renting may well prove to be a false economy. Of course this depends on how cheaply you can find your EPOS rental service, as some might still prove to be the more economically sound option once you account for set-up, maintenance and repairs. When you rent an EPOS you will no doubt have to sign an agreement and follow certain restrictions regarding your usage. While these are unlikely to be problematic for the vast majority of businesses, there may be some unique usage scenarios where you require more flexibility and in those situations you may need to buy. If you purchase your EPOS systems they will count as assets towards your company's working assets. Ultimately, this will increase the value of your business and gives you more assets to sell off in future. Conclusion – Should You Rent or Buy? So with all that in mind, which strategy is best for your organization? While there are many advantages to both renting and buying, the decision will most likely come down to the size of your business as well as the nature of your industry. For large established corporations, either option is viable. Buying might ultimately offer savings in the long run but will also present more challenges and require a great investment in time. Renting however will offer the best short-term savings and the superior support and maintenance in the long term. This makes it an appealing choice for businesses of all sizes but especially for local and small businesses that need flexibility and support and who don't want to break the bank to start serving their customers. For smaller companies, renting ultimately offers the best return on investment and minimum risk. What's new in Vantage 1.9.14? 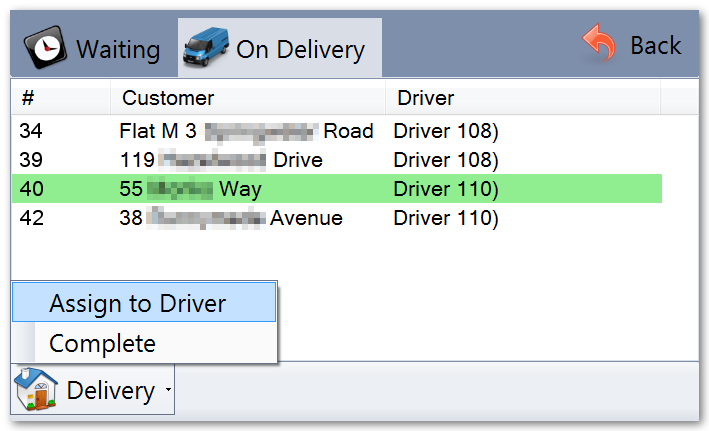 You can access the delivery manager by clicking the operator menu and choosing ‘Manage Deliveries’. From here, you can see deliveries that are waiting and deliveries that are out with drivers, assign deliveries to drivers, and mark deliveries as complete when they are done – all using the touch-screen interface. You’ll find these options in the Tools menu, under Website Control Panel. You can force the website to be open or closed, or set your own custom opening hours that are independent from the opening hours of your shops. There’s also the option to display a custom message, with many useful presets available, to be displayed on your website. This is a great way to keep customers informated about unexpected changes to your schedule, availability of items, or even promotional information! With the integration of a new scripting language to Vantage, we’ve opened up a incredible range of possibilities. In this release, we’ve added support for using a custom script to detect when to apply a promotion, but going forward we’ll be adding the ability to write your own scripts to control and customize almost every aspect of Vantage’s behaviour, making almost anything possible. This capability sets Vantage even further apart from competing systems in terms of the ability to tailour precisely to customer’s needs. A new policy setting has been added that allows you to control the maximum number of orders a driver can take at one time. This gives you more control over the experience your customers receive, by ensuring that drivers are unable to take too many orders, causing delays in delivery. 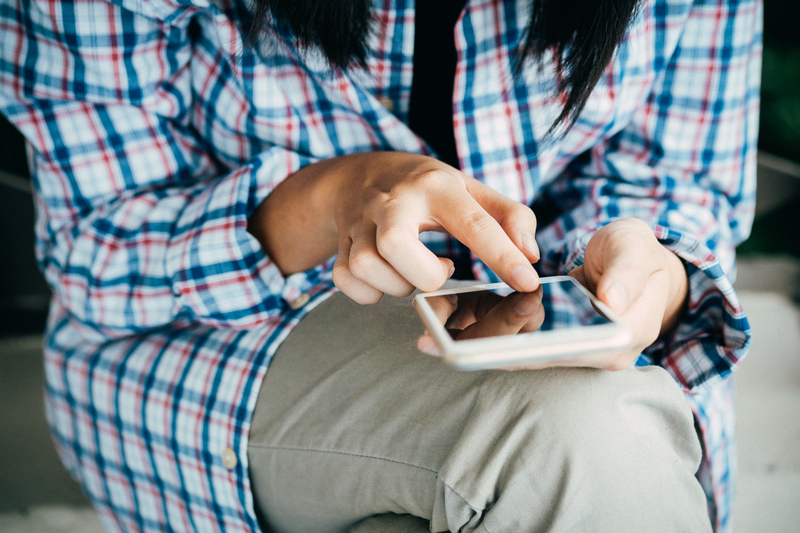 It’s an unfortunate fact that if you are using our instant messaging features to communicate live with customers from your website, it’s likely you will eventually encounter a disruptive or abusive user. We now offer a button for chat operators to apply a temporary block to these users, so they can concentrate on helping customers with genuine enquiries. The performance of the order details screen has been significantly improved, and now also displays order notes, and comments on actions such as voids. The user messaging system now includes a ‘Forward’ button, making it quicker and easier to pass on messages to other users. Stock orders now allow for a target time to be set, so your staff can be aware of when a delivery is expected to be received, or make sure they have everything ready to dispatch on time. Custom notes can also be attached to every order, for additional instructions or information. What's new in Vantage 1.9.12? The majority of new features for this release can be found in the Order Manager panel. The Order Manager panel now includes a new, significantly more powerful way of searching for orders. The old familiar search criteria panel is still there when all you want is to quickly look up an address, but when you want to dig deeper into your order database with specific criteria, you can enable the new Advanced Filtering option and choose from a wide range of flexible search conditions. See that star button in the screenshot above? Whenever you want to keep an advanced search that you've made, you can use this menu to save your searches to easily use them again at a later date. You can store as many as you like, and they are saved to your user account so they'll always be available no matter where you are. When you right-click on an order in the search results, there are a number of actions that you can perform on that order. You can also select multiple orders from one page at once and perform the same action on the whole selection. But what if there are many pages of results? Now, any actions that can be performed on the entire result set are listed under the new 'All Results' button. Many performance enhancements have been made in this release, but most notably all order list views, including the order search, now load significantly faster and are more responsive. The standard Vantage customer website has received a substantial upgrade, with a selection of new features available. 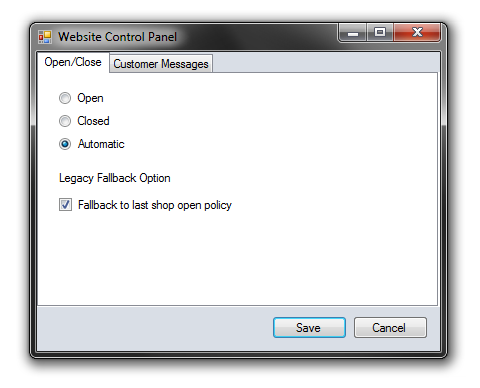 All Vecsoft customers using our standard website template can activate any or all of these features at any time. Your customers are now given multiple opportunities to save their address, phone number and other details to their own customer account. They can then log in later and quickly and easily choose past details to save entering them every time they order, making the ordering process quicker and simpler. What's more, customers can use their account reference when ordering over the phone, in-store, or on our mobile clients, not just online. Customer accounts open up many new possibilities in building better relationships with your customers. Underage customers attempting to purchase alcohol and cigarettes online, only to be refused when the delivery is made or they come to the shop to collect, wastes both their time and your time. Avoid this by requiring customers to enter details of ID that they have before placing an order. After placing an order, customers can now track its status on the website. The status is updated automatically as you process the order, so there's no need for staff do anything. Having order progress trackable online can reduce time wasted on needless calls from customers calling to check up on their orders. There's a new user permission to control who can see currently stock levels. When a user without this permission takes a stock count, they will be unable to see the expected stock levels; this makes counts more reliable by removing the possibility of simply copying the expected number. Every time a store is 'locked' or 'unlocked' for receiving new orders, the action is now logged to an audit trail. Tooltips have also been added to the lock indicators in the status bar which show the specific lock details, and which user locked the store.